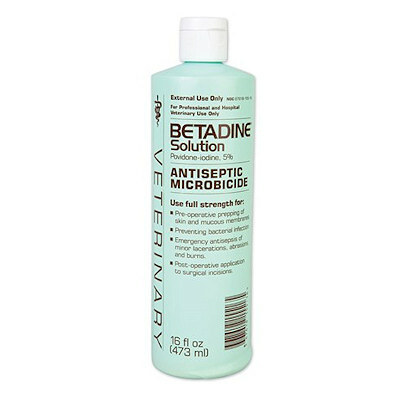 Betadine Solution (Povidone Iodine)16 oz. A broad-spectrum, topical antiseptic microbicide for removing germs from the skin and mucous membranes. Disinfects wounds, lacerations, abrasions and burns. Kills gram-positive and gram-negative bacteria and viruses. For external use only.